Hello, San Jose smiles! Do you have a missing tooth that is detracting from your otherwise beautiful teeth? Let Wesley P. Yemoto DDS fill the gap for you and help you get your remarkable smile back! A dental bridge could be the perfect answer for your missing tooth and help you chew and speak properly. A bridge includes two or more crowns on either side of the gap created by your missing tooth. These two anchoring teeth allow a false tooth to be held in place where the missing tooth should be. 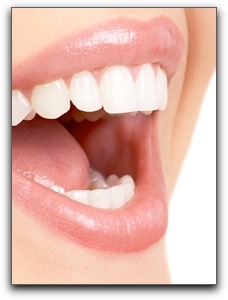 The false tooth that is placed in the gap is called a pontic. Bridges can contain one or more pontics. A pontic can be matched to the surrounding teeth if you settle upon a porcelain material. If you’d like, a pontic can also be created using gold or an alloy. Dr. Yemoto will work closely with you to be certain that your bridge has a precise fit. Then one of our skilled hygienists will show you how to clean under and around the bridge to ensure that no tooth decay develops in the nooks and crannies. Dr. Yemoto has been successfully restoring smiles since 1980. Thousands of patients have trusted Wesley P. Yemoto DDS with their dental health. Come see us at Wesley P. Yemoto DDS to bridge the gap and love your smile again! 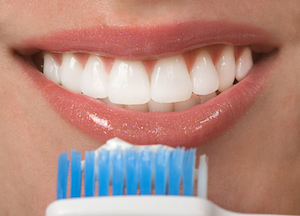 San Jose cosmetic dentists use dental crowns to solve a number of dental dilemmas. A dental crown is a strong, natural-looking permanent tooth restoration that covers the top of the damaged tooth. 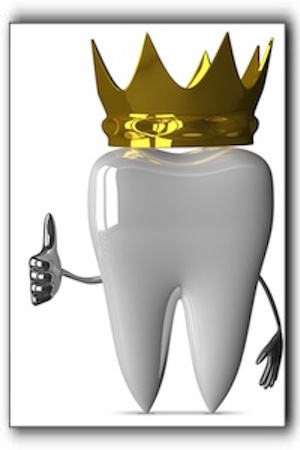 Before your Los Gatos dentist can attach the crown to your tooth, we must prepare the tooth. Cupertino family dentists often apply a local anesthetic so you won’t feel pain during the prepping. Your dentist will remove decay, if any, and shape the tooth to receive the crown. Then a mold is taken of the prepped tooth and surrounding teeth. A temporary crown is then placed on the tooth to protect it until you return to your Campbell dentistry office to receive the permanent restoration. The patient needs to be careful while wearing the temporary crown. Vigorous brushing or flossing can displace the crown or damage the exposed soft tissue. The Los Gatos dental crown patient should also refrain from eating extremely hard foods like nuts or sticky candy. The mold of your teeth is sent to a California dental lab where your crown is built. Dental crowns are fabricated in three varieties: tooth colored crowns made of resin or porcelain, porcelain-fused-to-metal, and solid metal crowns. Each type has its pros and cons. Your San Jose cosmetic dentist at Wesley P. Yemoto DDS will choose the best crown material for your particular tooth. For more information about complete dental restorations and other cosmetic dental solutions, call Wesley P. Yemoto DDS at 408-266-9957 today. 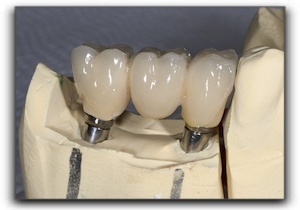 Today’s post looks at the complex process required to engineer a dental crown. Dental crowns can be constructed with metal, ceramic (porcelain), plastics, or varying combinations of these. We will describe the process used to create a porcelain crown, though the steps are similar to those used for other materials. Modern porcelain crowns are a technological and artistic marvel that make successful reconstructive and cosmetic dentistry possible. This picture shows three crowns attached to two implant posts. While the most advanced California dental lab techs and proficient ceramists can’t make a tooth as strong as Mother Nature can, they are getting pretty darn close. When one of our Wes Yemoto Esthetic Dentistry patients needs a crown, a dental assistant makes an impression of all the teeth. The impression is sent to a laboratory where the plaster teeth are separated. The individual tooth mold in need of restoration is scanned into a computer to have the perfect dimensions to send to the factory. The cutting-edge factory has a computerized machine that will then pour plaster into cylindrical molds, forming blanks. Once hardened, the process of making the tooth from the plaster blanks begins. The machine then takes the scanned data from the impression and begins milling out the contours found in the scan. The finished tooth is not to scale, being 20% to 30% larger than required. This enlargement is to allow for material shrinkage that will later occur. The crown is then fired to making the porcelain more dense throughout. More hand contouring follows, as needed, and then is finished with a clear, ceramic gloss. All of this work results in an outstanding crown for one of our patients! If you have a broken tooth or old, unattractive crown, or want information about smile transformations, call 408-266-9957 to discuss the possibilities.